Over 30 million adults in the United States suffer from arthritis, including osteoarthritis. While all experience some level of pain and stiffness, an osteoarthritis diet may help their symptoms. Osteoarthritis (OA) is the most common form of arthritis. It happens when cartilage in the joints breaks down. The majority of people who suffer from OA notice pain, stiffness, and swelling in their knees, hands, hips, or spine. Research going back several years suggests that certain antioxidants may help prevent and slow the progression of arthritis. There are foods that contain antioxidants. There are also foods that encourage inflammation, which can aggravate arthritis. If you have osteoarthritis in the knees, managing weight can be important in relieving pain. It is not uncommon to hear people with joint pain talking about a diet for osteoarthritis; however, if you suffer from this condition, it is important to understand what different foods do to your body before you jump into a new diet routine. Talking with your doctor about diet first is the best approach, but we can tell you that many studies suggest that the Mediterranean diet helps lower symptoms of osteoarthritis. The Mediterranean diet focuses on fresh fruits and vegetables, healthy fats, whole grains, yogurt, some fish, and even red wine. It has been associated with lower rates of diabetes, obesity, heart disease and dementia. Osteoarthritis has an inflammatory factor and the Mediterranean diet has the ability to regulate inflammation by encouraging anti-inflammatory foods like berries, fish and olive oil. At the same time, it limits inflammatory foods, such as red meat, sugar and most dairy. This diet is high in beta-carotene, fibre, magnesium, and omega 3’s, which reduce inflammation. A 2015 study published in Arthritis showed that a plant-based diet helped reduce pain in osteoarthritis patients just two weeks after they started a plant-based diet. Another study published in the Journal of Nutrition, Health & Aging in 2017 indicated that 99 OA patients who followed a Mediterranean diet for 16 weeks experienced a reduction in a biomarker for cartilage degeneration. The American Society for Nutrition conducted a study in 2016 that demonstrated a Mediterranean diet led to weight loss and less arthritis-related pain. What to Eat for Osteoarthritis? An osteoarthritis diet may not be as challenging as some people think. There are a lot of delicious osteoarthritis foods to eat. You may have heard that cranberries are good for combating urinary tract infections, but they are also helpful if you have osteoarthritis. This is because they are a source of anthocyanins, which is a powerful anti-inflammatory. These foods can counter free radicals that can help relieve symptoms of arthritis. Free radicals are known to attack our healthy cells and when you have osteoarthritis, your cells are already weakened. This juicy fruit is packed with vitamin C, one of the best antioxidants. The vitamin C essentially neutralizes free radicals that normally damage cartilage and cause inflammation and pain in the joints. Grapefruit is another good OA fruit. This deeply colored vegetable is full of vitamins A and C, as well as nutrients including magnesium, potassium, folate, and manganese. 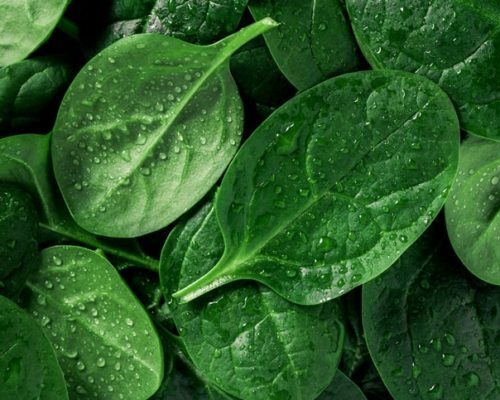 Dark-green leafy vegetables like spinach are antioxidant rich. The darker the green color, the more antioxidants the leafy vegetable contains. Kale is another example of such a vegetable. Like some other dark-colored fruits, tart cherries are full of powerful antioxidants. You do have to consume a lot of them to get enough antioxidants. Some dieticians suggest drinking tart cherry juice is an easier way to get enough. A cruciferous vegetable, broccoli has vitamin C, as well as carotenoids lutein, zeaxanthin, and beta-carotene. They are all antioxidants. Raw broccoli has the most antioxidants. In 2010 an investigation at the University of East Anglia began looking at Broccoli and its impact on OA. The researchers have reported that the green vegetable contains a high amount of a compound called, sulforaphane. Science Daily has stated that sulforaphane may slow and/or prevent osteoarthritis from developing. Also read: Broccoli and osteoarthritis: Could the superfood fight against arthritis? Almonds, walnuts, pine nuts and pistachios are good nuts to consume if you suffer from osteoarthritis. This is because they contain antioxidants. You have to be careful about how much you eat though since they can be high in calories. There is some oily fish that contain healthy omega-3 fatty acids. These fats have anti-inflammatory properties. Salmon, fresh tuna, and mackerel are good examples. If you aren’t a fish eater, you take supplements that contain omega-3, including krill oil or flaxseed oil. Chia seeds and flaxseed are also sources of omega-3. Some people with OA find that increasing bone strength improves their pain so milk, yogurt and cheese, which are high in calcium and vitamin D, are often on an osteoarthritis diet list. To control weight, remember to choose low-fat dairy. This type of tea contains a high level of polyphenols, which are antioxidants that may be able to reduce inflammation. There is some evidence that garlic contains a compound called diallyl disulfide that can combat the enzymes in the human body that tend to damage cartilage. Just as there are foods that can help you with osteoarthritis symptoms, there are what we call osteoarthritis foods to avoid. While avoiding certain foods can’t cure your osteoarthritis if you have already been diagnosed with OA, steering clear of specific foods could prevent you from experiencing symptom flare-ups. Processed cakes, cookies, and other bakery items are sugar-rich carbohydrates that may change the way the body responds to disease. For instance, the sugar can make inflammation worse and joints weaker. Some research seems to suggest that pure maple syrup and honey can feed your sweet tooth without aggravating OA symptoms. Eating too much salt can lead to an inflammatory reaction in the body. It can also cause your cells to retain water, which can lead to swelling. The majority of Americans consume too much sodium according to the Centers for Disease Control and Prevention (CDC) but you can switch salt for other spices and lemon zest. Foods that are deep-fried, such as French fries or donuts can increase inflammation and make arthritis pain worse. It is better to consume foods that are baked without any added oil. This is a refined wheat product that stimulates inflammation. Eating refined pasta, cereals, and grain products can trigger an arthritis flare-up. Harvard Medical School reports that you should limit intake of omega-6 fatty acid foods, including egg yolks and red meat. The fats can increase inflammation. There have been studies that showed some dairy products could cause inflammation. For example, one study discovered that arthritis sufferers who eliminated animal milk from their diet experienced a big improvement in their arthritis symptoms. Drinking alcohol in excess, especially beer, can lead to the flaring-up of OA symptoms. This is due to the high purine levels in it. Additionally, many medications for arthritis treatment can’t be mixed with alcohol since it impacts the effectiveness of the medicine. If you have already started thinking about an osteoarthritis diet, keep in mind that there are a number of myths about OA. For instance, many people believe that citrus fruits should be avoided if you have arthritis but this isn’t true; however, some medications for arthritis do not interact well with grapefruit juice. There is also a belief among some people that nightshade vegetables cause inflammation but according to the Arthritis Foundation, there is no solid scientific evidence to support this.